How can I solve it, please. In fact I don't want a Romanian keyboard, neither I often use ". Is just that I have the 2 and " on the same key, but in fact is 2 and @. As for ' and @ in fact i have ' and ". At least those are the ones I have spotted till now. 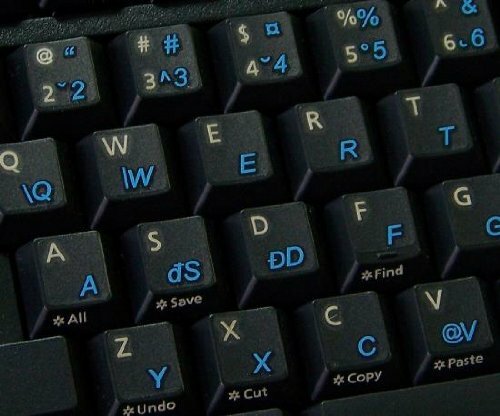 Is there a way to have them as pre-printed on keyboard? Or as a cheap alternative, use a keyboard sticker. In fact I have exactly the same keyboard as the one you suggest for replacement in your sample image. Besides replacing the keyboard, I believe the keyboard stickers would be best. No offence, but why should I replace a keyboard with an IDENTICAL one, or put stickers on the existing keyboard? It's a new computer, bought it 3w ago,all sttings in English, only English keyboard installed,and all Lenovo can offer as solution is STICKERS? Sorry, I cannot accept,and neither should you, Lenovo support that this is the only solution! I'm sur someone can do better, found some solutions on diffrent forums, but requires to change values in the system and I'm not an expert, but you are! Thank you for giving me a real solution for this issue!